MIPSPRO webinars will walk you through the basics of reporting MIPS. Approximately 30 minutes of a typical session are dedicated to presenting educational content, with the remaining time dedicated to an open question and answer session. Recordings and presentation materials are made available to attendees after the webinar has concluded! In the first year of the Merit-Based incentive Payment System, two-thirds of eligible clinicians are still not sure how to be MIPS-compliant. 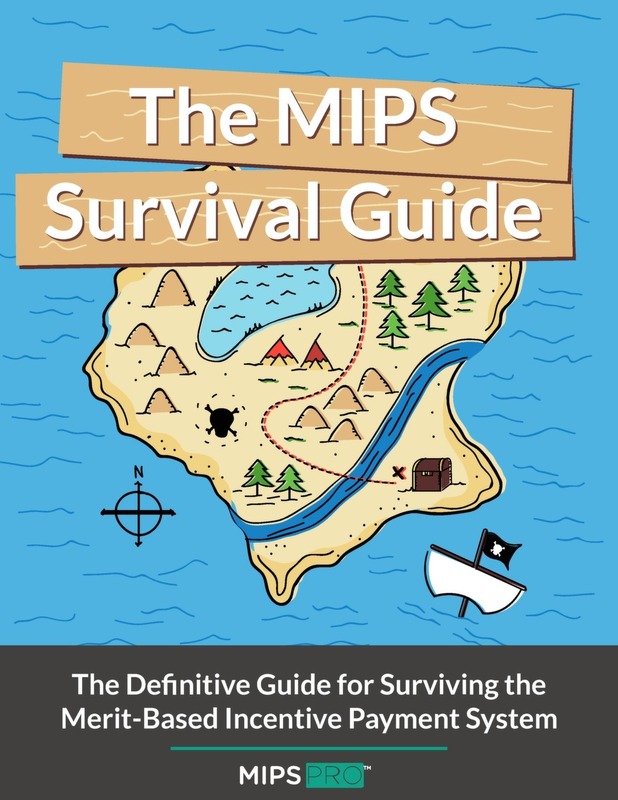 The MIPS Survival Guide covers everything you need to know to report MIPS in 2017, from eligibility to how to report to score calculations! 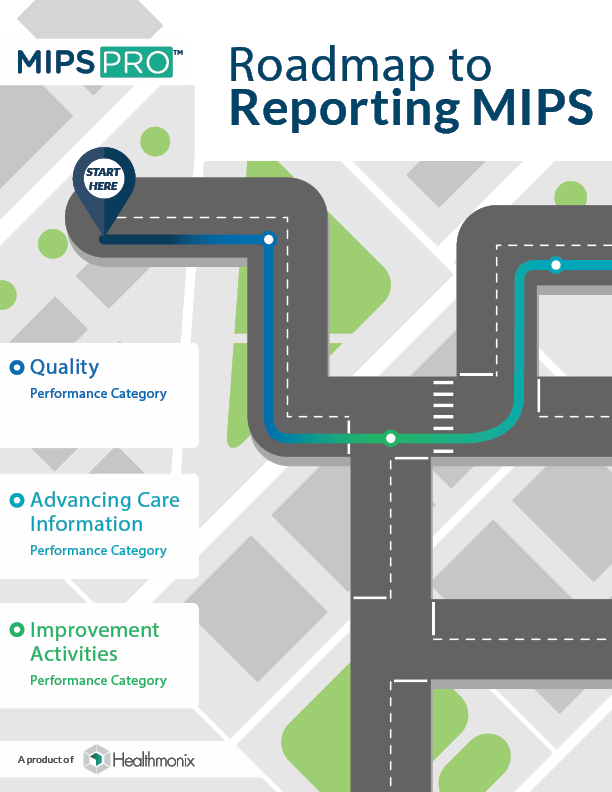 The Roadmap to Reporting MIPS guides you from start to finish of the MIPS reporting process. 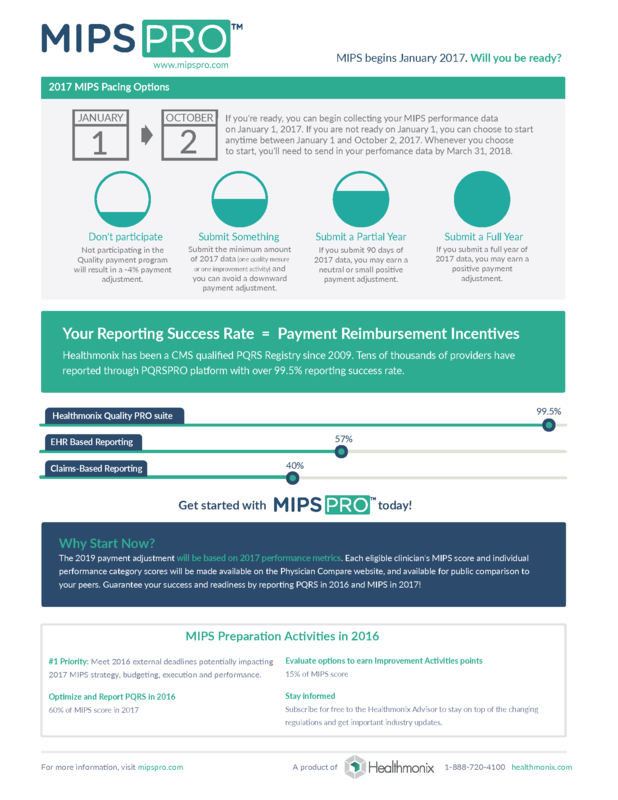 Whether you are just looking to avoid the MIPS penalty, or want maximize your incentive, this road map will show you the way! 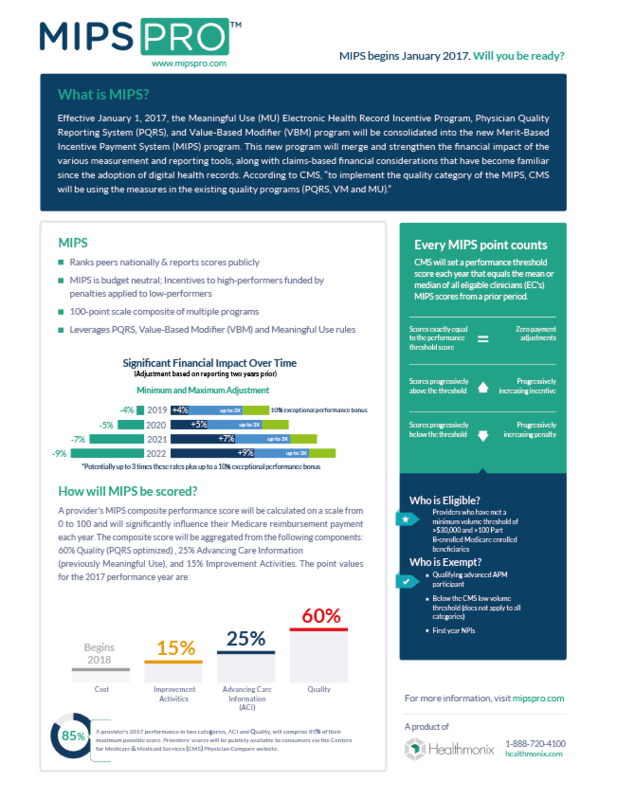 This three-page booklet provides step-by-step guidance to understanding the most important aspects of each of the three MIPS performance categories. 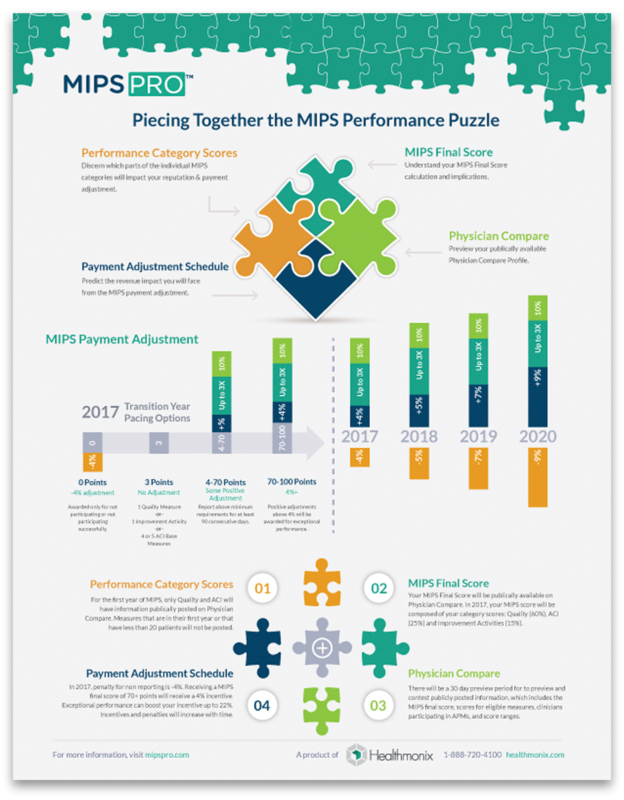 Each MIPS Performance Category has its own set of measures or activities to be reported. To view all measures, check out our MIPS measures index page. Additionally, you can utilize these resources to aid with your organization's measure selection strategy. Do you have questions? Our MIPS experts are happy help!